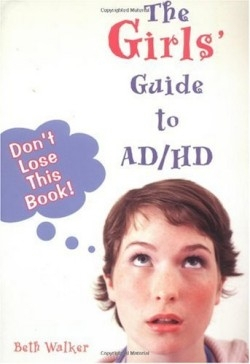 Having Attention-Deficit/Hyperactivity Disorder (AD/HD) is not a girl’s fault, but it is her problem. This accessible book, written specifically for girls in grades six through twelve, presents AD/HD as something to deal with, not to be ashamed of. AD/HD is a neurological disorder affecting between six and nine percent of all Americans. According to the author, girls with the disorder behave differently than boys who have it. Girls are more likely to fidget rather than run around, and to whisper to a classmate rather than yell out. They are more likely to be day-dreamy in their distraction and get depressed instead of angry with people who don’t understand that they are not lazy or unfocused. As Maddy, she often goes off track, which is a wonderful way to demonstrate how the mind of someone affected by AD/HD works. She never strays too far, though, and keeps her discussions short so that her attention-challenged audience can stay with her. Graphics, varied fonts, and bold headlines maintain visual interest. The book follows a safe, logical progression. Walker starts with general facts about the disorder, including the chemistry of the teenaged brain and various treatments; then she carefully makes the conversation more personal by delving into how AD/HD affects family dynamics, friendships, school, and romances. Since AD/HD is not recognized in many girls, they often develop self-esteem problems by the time they are teens. Girls with AD/HD can also have trouble sustaining friendships, adding to their potential depression. They are often late, interrupt a lot, aren’t very good listeners, and have trouble picking up social cues. The author gives specific suggestions for how to make (and keep) friends. AD/HD in girls is severely under-diagnosed. Some researchers estimate that as many as seventy-five percent of girls with AD/HD aren’t diagnosed. As more educators, parents, and girls become more aware of it, they will need books like this one, which offers hope, humor, and the latest research to help girls feel good about who they are. Throughout the volume, Walker reminds her readers that there are benefits to having AD/HD, including deeper empathy, charm, energy, and lots of great ideas. Maddy will feel like new friend to readers, one who will like them, not in spite of their AD/HD, but because of it.